Olive oil is an extract of olive fruit, which is produced by a small tree of Oleaceae family. 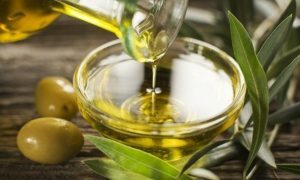 Health experts believe that olive oil consumption is good for cardiovascular health thanks to its antioxidant and omega-3 monounsaturated fatty acid content. According to epidemiological studies, a diet rich in monounsaturated fats has the ability to reduce vulnerability to coronary heart disease. Olive oils are classified based on various factors, including flavour, content, packaging method, harvesting technique, and processing method. While virgin olive oil is extracted through mechanical means, refined olive oil extraction applies chemical and physical methods. The types of olive oil include virgin olive oil, extra virgin olive oil, refined olive oil, and pure olive oil. Other types include organic olive oil, light olive oil, and fused olive oil. This article focuses on the last three. This type of olive oil is produced without involving any chemicals or pesticides in the process of farming. Typically, organic olive oil is more expensive than other olive oils, and it has to undergo a certification process by an overseeing agency for it to be declared organic. The labeling regulations may vary with country, and many people like this oil not because of its taste or flavour but ecological friendliness. It is a blend of several refined olive oils obtained from low-grade olives, and it is suitable for high-heat cooking, including frying. Some people tend to think that the term “light” means this oil contains low levels of calories. This is wrong because light olive oil has the same levels of calories as other types of olive oil. “Light” means mild taste and flavour. Also known as flavoured olive oil, this oil contains a blend of olive and fruit flavours. It is obtained by pressing fruits and olives together. Fused olive oils are rare, and are used in salads.